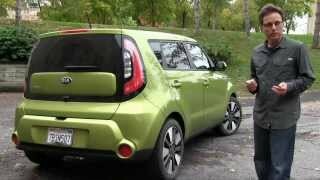 Kia Motors had unveiled an all-new version of Soul, its iconic urban crossover, at the 2013 New York International Auto Show. 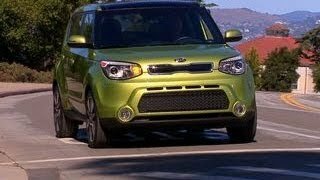 The 2014 Kia Soul has been boiled down to three focus areas: Maintaining the iconic design while adding modern cues; providing premium features and content; and improving driving dynamics. Riding on a new chassis that is stiffer, longer and wider, the all-new Soul has grown up without losing its edge, allowing for more passenger and luggage room while reducing levels of noise, vibration and harshness. The wraparound greenhouse, high-mounted tail lights and tall ride height are all hallmark design elements. It comes with LED front positioning lights and rear LED “halo”. On the interior, standard features include a high-gloss piano-black centre console, cooled glove box, leather-wrapped steering wheel and gear-shift knob, 10-way power driver’s seat with lumbar adjustment and auto-dimming rear-view mirror. 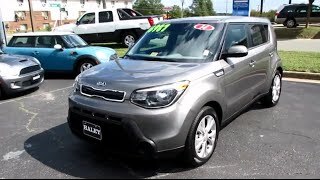 Supervision Cluster/TFT LCD screen, Xenon head lights, push button start and automatic climate control make the Exclaim the most premium Soul ever. Power for the Base Soul is delivered by a 1.6-litre all-aluminium DOHC four-cylinder Gasoline Direct injection (GDi) producing 130-horsepower (at 6,300 rpm). The Gamma engine produces 118 lb/ft. of torque at 4,850 rpm. The Plus and Exclaim models enjoy the more powerful 2.0-liter Nu power plant. 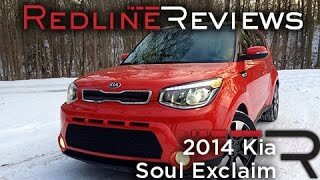 For the all-new 2014 Soul, the engine is updated with GDi technology. Power is rated at 164 horsepower at 6,200 rpm and 151 lb/ft. of torque at a 4,000 rpm.